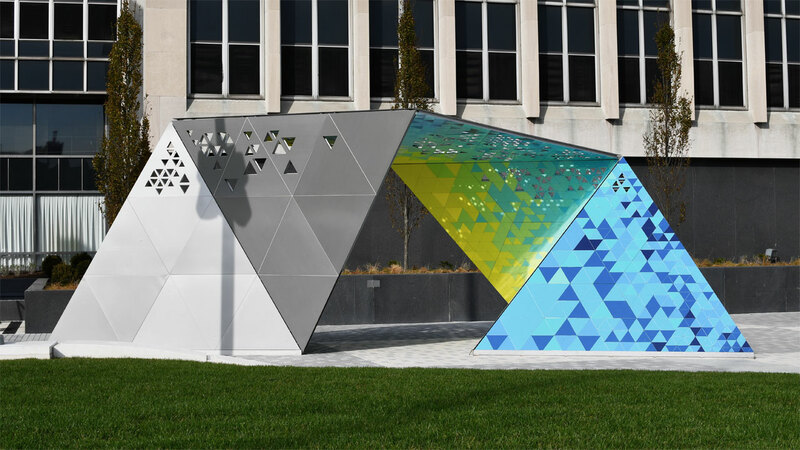 Alloy was designed for the Sister Cities program of Indianapolis and is located in the new Lugar Plaza at the City County Building. The Sister Cities Program enables and promotes the connection of people from different parts of the world with local residents, while highlighting the diversity of culture in Indianapolis. Our project mirrors this effort by encouraging interaction, and connecting people from various cultures and stimulating conversations. An alloy is made by combining two or more metallic elements, especially to give it greater strength. 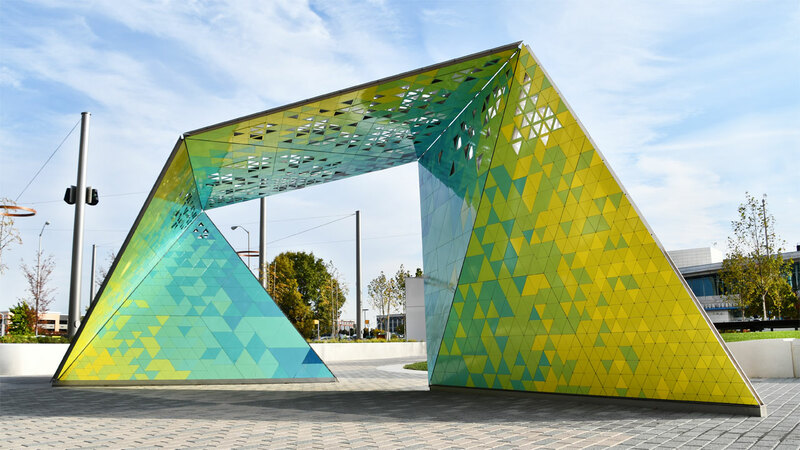 This project has been developed with that in mind, both in its duality of material and finishing techniques as well as how it represents the Sister Cities Program. 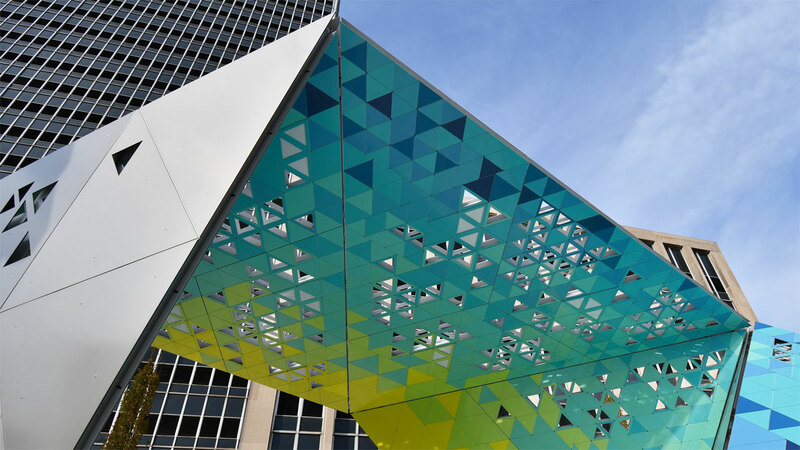 The exterior faces conceptually represent the diversity of cultures existing in the city of Indianapolis. 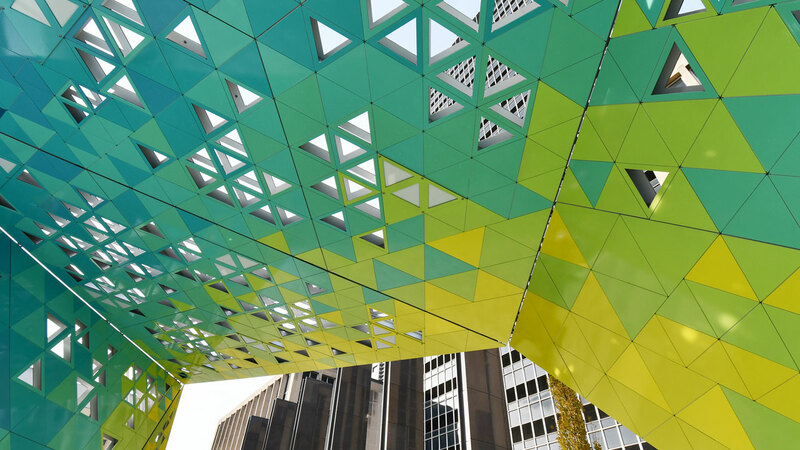 These elements will reflect visitors to the plaza and surrounding environment. The inner skin references the global community and the variety of cultures that are brought together through the Sister Cities program. 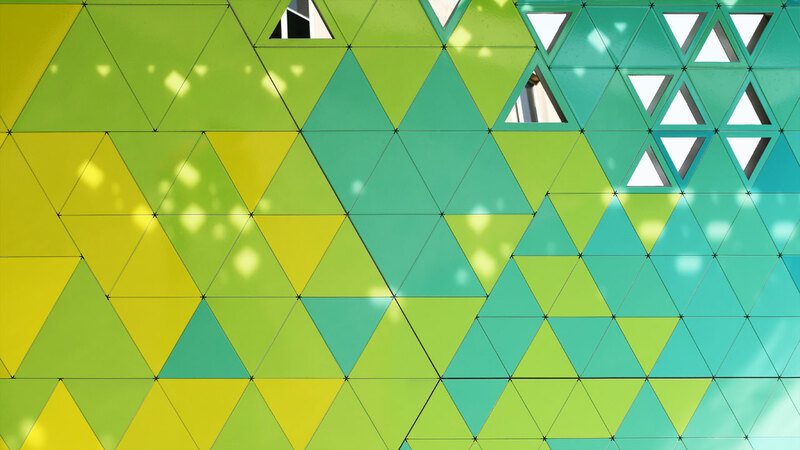 Unique individuals are represented by varying sized triangles throughout the piece. 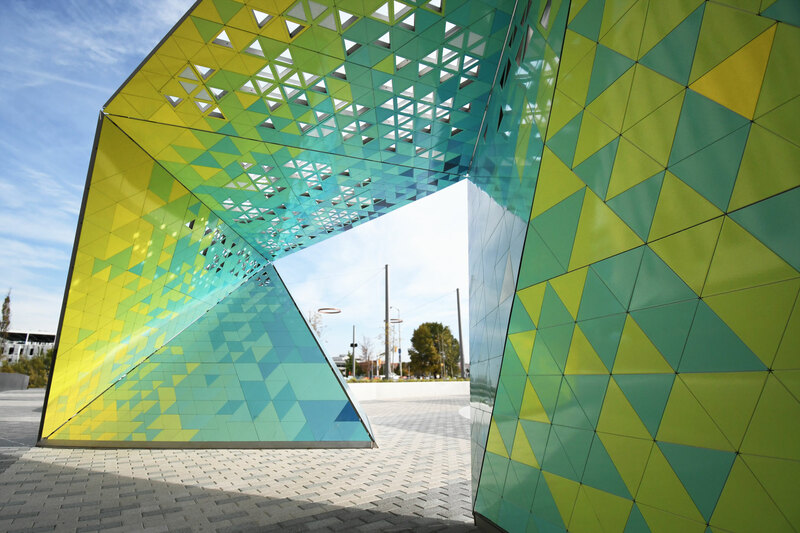 When viewed as a whole, a unified gradient is exposed as an interpretation of the weaving together of diverse communities. Integrated lighting illuminates the piece at night and provides a different experience for visitors. The project’s form and placement on the site were developed in close collaboration with the plaza design team. It was important to allow visitors to interact with the project physically, and experience it from a variety of vantage points. Its location is visually prominent in the new plaza design, and allows people to actually pass through it.